My greatest love is crochet but also reading and walking. 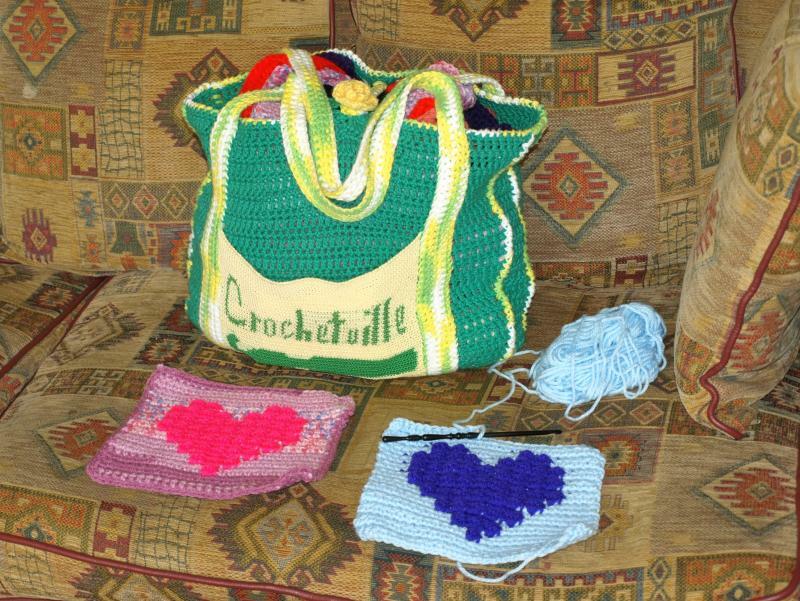 Learned to crochet in 1965 when I was 8 and couldnt master knitting. All your blankets are beautiful but I particularly like the shell one. Absolutely beautiful afghan. Well done! Great idea - the end result is gorgeous. Both afghans are fabulous! Really love both colour combos. Another beautiful tote Mary Jo. The colours really make me think of Easter and Spring. Some lucky lady is going to LOVE it! Beautiful! Great way to use up all those scraps. Beautiful! Love the colours you chose. Welcome from Belfast, N Ireland!